As part of providing the best possible experience to their roofing clients, Kreunen Construction uses SSA Store Share Access for all roof-related jobs, whether a reroof project or new roof installation. This client information portal, which is unique to Kreunen Construction , allows clients to access information on all aspects of roofing installations or repairs they are having completed. 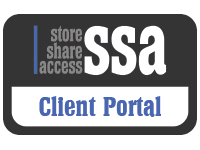 SSA Store Share Access makes it convenient for clients to retrieve details needed for insurance purposes, future roof repairs or even selling of a home and having the roof warranty at your fingertips. One of the more immediate ways SSA provides value is by providing key details on current roofing projects. This information includes the date of the roof installation or roof repair work, as well as pictures of the home for identification and images taken during each stage of the roofing process, from the pre-work stage to post-work, when the roofing job is completed. SSA Store Share Access also includes contact information and details on the crew chief and the field representative for the roofing project, making it easy for clients to contact their roofing professionals directly. Even more convenient, the SSA portal features the ability to complete and sign documentation for roofing projects online. This includes documents like the roof financing application, completion certificates, and other roof related documents, which are then stored online in the SSA Store Share Access portal with insurance papers and roof estimates. SSA even allows customers to upload documents that Kreunen Construction may need to plan or complete a roofing installation or roof repair job. The roofing material from shingle color, type felt and all other roofing materials used are always in the client portal. In addition to these benefits, this unique information system allows Kreunen Construction ‘s clients to view and store information related to insurance, including insurance details that are needed for the current roofing job and the insurance adjuster’s name and contact information. It also allows for storing the mortgage company’s information when needed. Finally, SSA Store Share Access stores details about the roof itself, including the size of the roof and number of shingles, along with the type and color of shingles used. This makes it easy for clients to know right where to go to get this information for repairs or to provide to future buyers of the home. No need to worry about losing the web address to your client portal. The client portal is in the navigation bar on Kreunen Construction website, insuranceroofs.com so all you must do is Google Kreunen Construction and there it is. Utilizing SSA, Store Share Access, Kreunen Construction ‘s clients will be able to track and keep up with all aspects of their roofing and roof related jobs, including warranty information, shingle type, shingle color and when the roof was installed. Pictures at various stages of the roofing project are also stored in SSA. To make an appointment, please fill out our request a quote form (and we’ll respond to your inquiry within 24 hours) or call us to schedule a visit to inspect your roof. We’ll answer any questions you may have and discuss with you how our process works, what to expect from us at various stages and how we can work with your insurance company if applicable. We appreciate your consideration and are excited to work with you.